The new mobile forms geomapping feature provides users with the ability to superimpose an image on a map, making it possible to identify and record information on many different, precise points. On the back end, this means that admins can customize their forms to include tasks or questions concerning various stops at a specific site. And in the field, workers collecting data on these points can easily identify, access and navigate to them. In addition, users can add new points of interest (outside of those included in the form at hand) and capture information relative to them while in the field. Imagine a surveying company that has recently launched a project to map out various house location plans for a future neighborhood. Using Device Magic’s geomapping resource, team members could immediately collect data on different land plots, soil compositions or foundation lots within the same, new neighborhood. Should a surveyor find an area with potential flooding issues that didn’t originally appear in the form, they could add that location to the form itself, as well as the details surrounding it. Furthermore, they could send their findings back to the office instantaneously and even receive a new form with detailed next steps via Dispatch. Firstly, they could more efficiently utilize their employees while in the field, as well as enable these employees to accomplish more (and cover more ground) in less time. They could also gain more information on unforeseen circumstances and issues, allowing them to prevent future problems and thus, saving them additional time, resources and capital. Thanks to Device Magic’s Analytics and Reporting Dashboard, the company could also review their execution processes, identify any shortcomings and revise accordingly. In summary, the surveying company could significantly increase their productivity and in doing so, boost their profits. Setting up and utilizing Device Magic’s new geomapping feature is simple and straightforward thanks to the application’s intuitive interface. The overlay resource allows a user to take an image, preferably in JPEG or PNG format, and position it on a map within the form builder. Once arranged, the superimposed image will automatically load in the corresponding location question on the mobile device's form. And if that question or task occurs more than once, such as in a repeat group, the map overlay will continue to automatically generate. So, this means that if the surveying company above needed to evaluate the composition of five different soil samples based on three key factors, the map overlay would associate with each factor at all five sites. Making adjustments to the map overlay is also simple - even when in the field. Users can easily adjust the overlay by rotating, resizing and adjusting the opacity of the uploaded image over the map. A simple left click moves the map around, while right-clicking manipulates the overlayed image, providing added flexibility. And when data collection is complete, there are many different options for delivery and analysis. Should an organization need to drive any of this information to or from their own system(s), they can do so through the Device Magic API. In addition, account activity, submissions and overall performance can be reviewed via the organization’s Analytics Dashboard, also available on Enterprise plans. To learn more about introducing geomapping into your data collection strategy and boosting your business’ productivity, contact Device Magic. 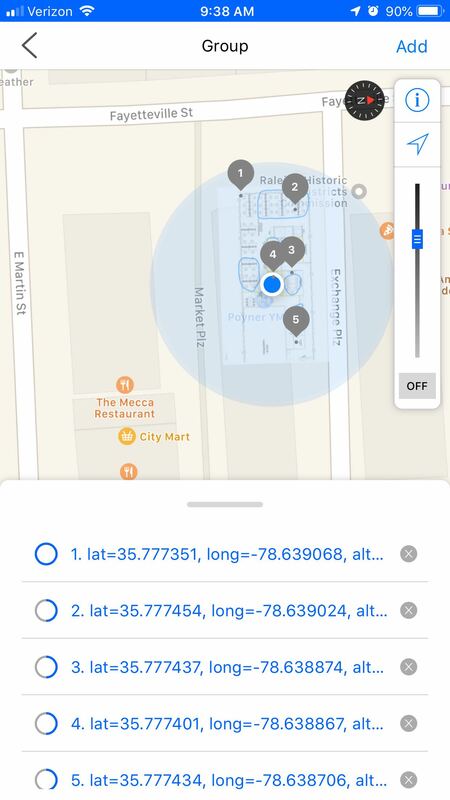 For additional information on setting up the feature, consult these articles in our Help Center: Map Overlay Resource and Summarizing a Group by Location.